SANDS OF ANDAMAN TRAVEL PVT. LTD. is a full-fledged tour and travel company, based in Port Blair, Andaman & Nicobar Islands. We offer a wide array of services to our clients ranging from organizing tours, car coach rentals, travel management, hotel reservations, corporate and private events etc. Our tour guides and agents are highly experienced and capable of helping you explore all the popular and offbeat destinations in the Andaman and Nicobar Islands. You can make your holiday to Andaman and Nicobar Islands a completely hassle free and exciting experience. We offer adventures such as Scuba Diving, Sea Walking, Snorkeling and Sea Fishing under expert guidance. 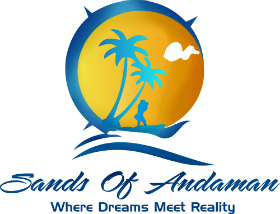 SANDS OF ANDAMAN TRAVEL PVT. LTD. was established in July 2014 by its director Mr. K. Krishna Rao. Directors of the company is well traveled and have extensive industry experience. The company has been established with a goal to â��maximize the client experience and provide best possible servicesâ��. Be it a long holiday, short vacation or any other event in the Andaman Islands, we deliver best possible services to our esteemed clients. Our main areas of operations include Port Blair, Havelock. Neil, Baratang, Diglipur, Rangath etc. Contact us and allow us to help you experience the unparalleled pleasure of exploring the vast flora and fauna of Andaman Islands.